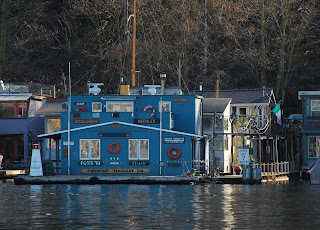 This is not a collection of nautical kitsch - it is the headquarters of the Freemont Tugboat Co. Some subset of the four owners (Erik, Tom, Mark, and Margie) live here on Lake Union in the shadow of the Alaskan Way Viaduct. 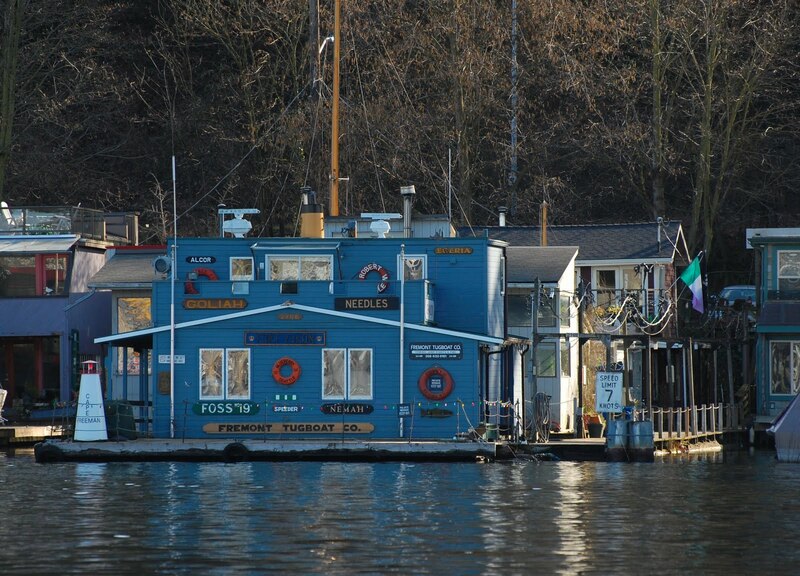 They run a fleet of small tugs, and claim that they commute from this location in a vessel called The Jeep.